There are currently 94,322 users on this website. Looks like a beat-up parking lot coin. 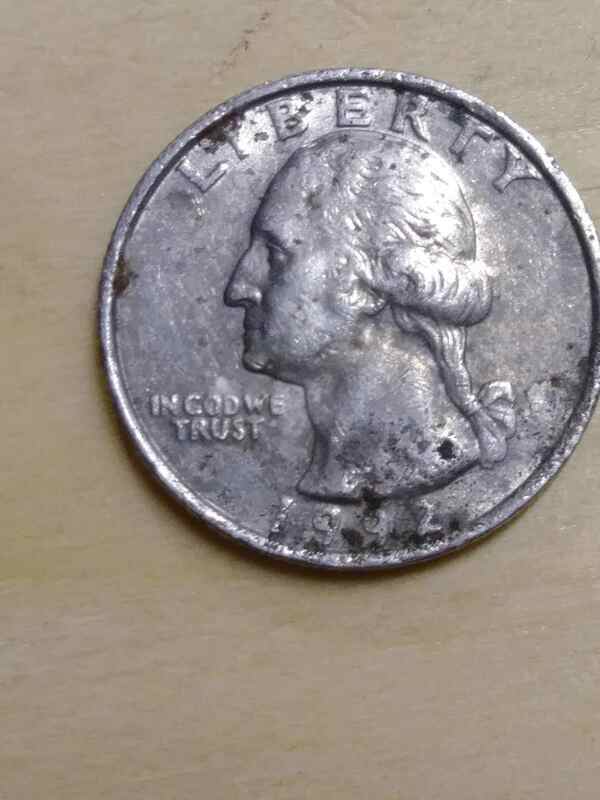 @MC86, it sounds like you are thinking that this quarter was overstuck on a half dollar planchet. I agree with the frog that I don't see any evidence of this, but rather damage and surface staining. Where specifically are you seeing an underlying image? Can you give us the weight, or at least the diameter of this coin? Just an Environmentally Damaged coin. Not an error. It's Post Strike Damage ( PSD) and is worth face value. These pictures dont show half of what I see so I will send more once I'm home. 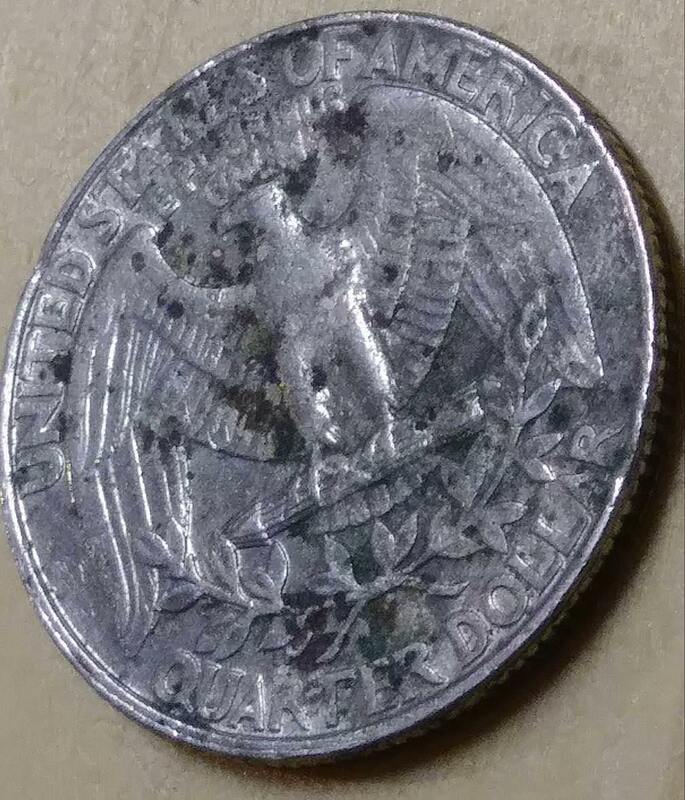 I agree, just a beat up coin. 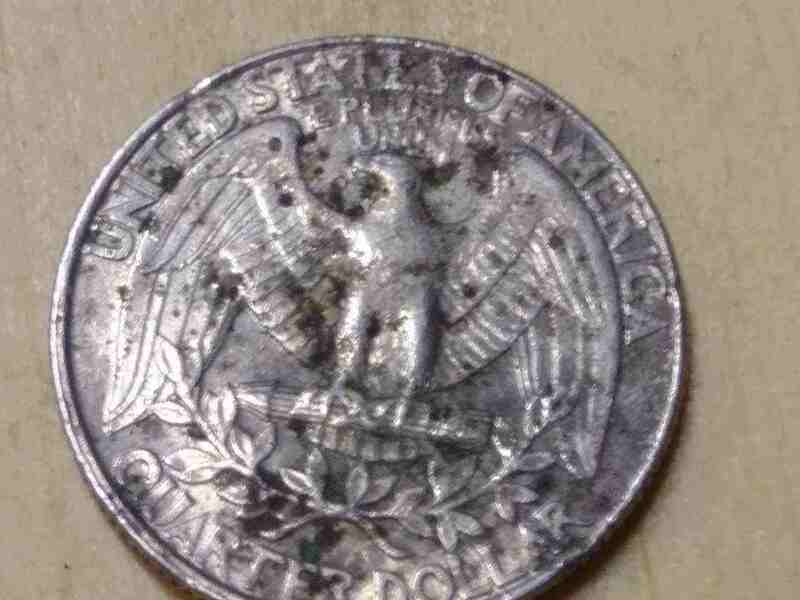 If it was struck on a half dollar, it would be the size of a half dollar which also couldn't happen because a half dollar would not fit in a quarter coining chamber.